$47.2 - Just in from designer Truly Me, this tween dress is part of the spring 2018 collection. The design begins with a U neckline. The back has a small button keyhole. A touch of elastic holds up the cold shoulder short sleeves. 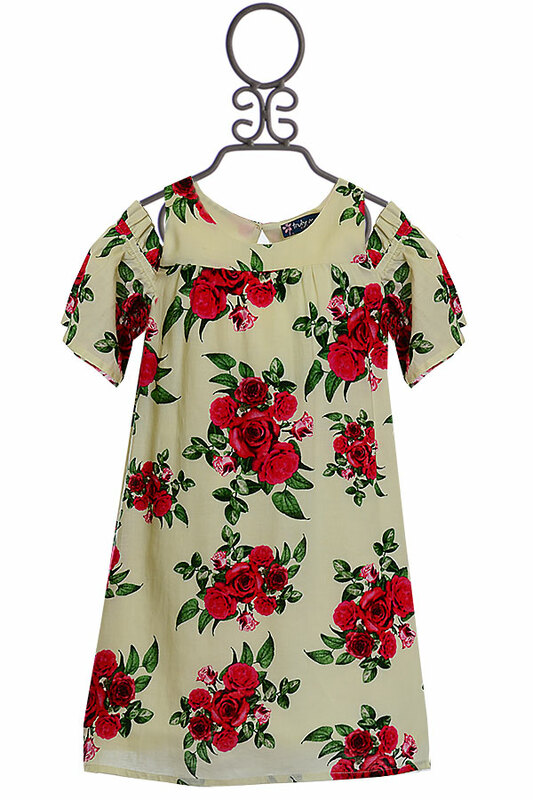 The ivory fabric is covered in vibrant red roses. The dress can be dressed up depending on the accessories she adds!